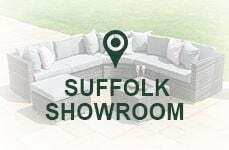 We know that some online shoppers like to see, touch and try out their garden furniture before making a final purchasing decision, that's why White Stores has garden furniture on display in Essex, London, Suffolk, Surrey, Shropshire and Somerset allowing our customers to do just that. All showrooms are open daily throughout the year and offer free car parking. 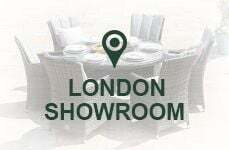 Each store showcases a varied selection of our rattan garden furniture - including sofa sets, dining sets, bistro sets and daybeds - along with a sneak peek at the rest of our extensive product range such as garden parasols, wooden benches, patio heaters, barbecues and outside ornaments. 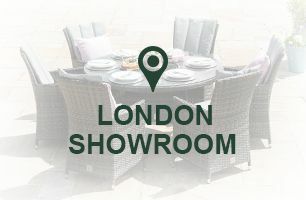 All of the big brands in outdoor living can be seen in our showrooms, including Nova Outdoor Living. 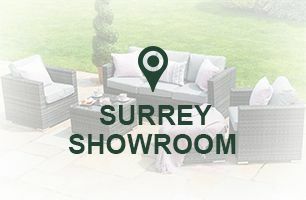 Our friendly and knowledgeable showroom staff will be able to answer all of your garden furniture questions, and suggest the best possible options to suit your budget, space and taste. Come and visit your closest store today! 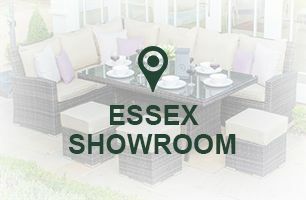 We are proud to say that the Garden Furniture Showroom in Essex is the largest of its kind in the UK. The flagship store displays over 200 sets, spread over two floors! For directions and opening times, please click here. 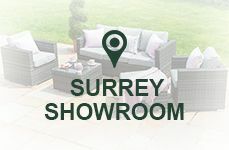 Our Surrey showroom is located within the old Wyvele Garden Centre in Windlesham, now known as Windlesham Gardener. For directions and opening times, please click here for more details. 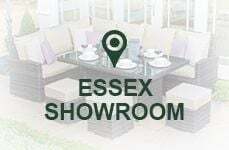 Located within Phoenix Rose Garden Centre, Enfield, our London showroom has 30-40 sets on display and a great team on hand to offer advice and help with your order. 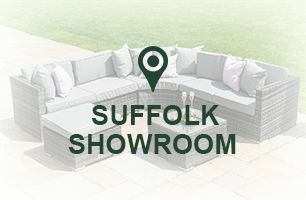 Conveniently placed directly off of the A12 Ipswich-bound, this large display of over 30 garden furniture sets has something to suit all styles and budgets. London Road, Capel St. Mary. 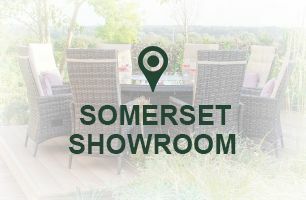 Based within Palmers Garden Centre, this large garden furniture concession has over 30 garden furniture sets on display and has something to suit all styles and budgets. Conveniently placed directly off of the A518, this large garden furniture outlet has over 40 garden furniture sets on display and has something to suit all styles and budgets. 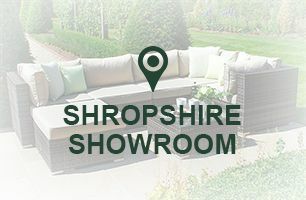 Please be aware that this showroom will not be open until spring 2019, click here for more details.